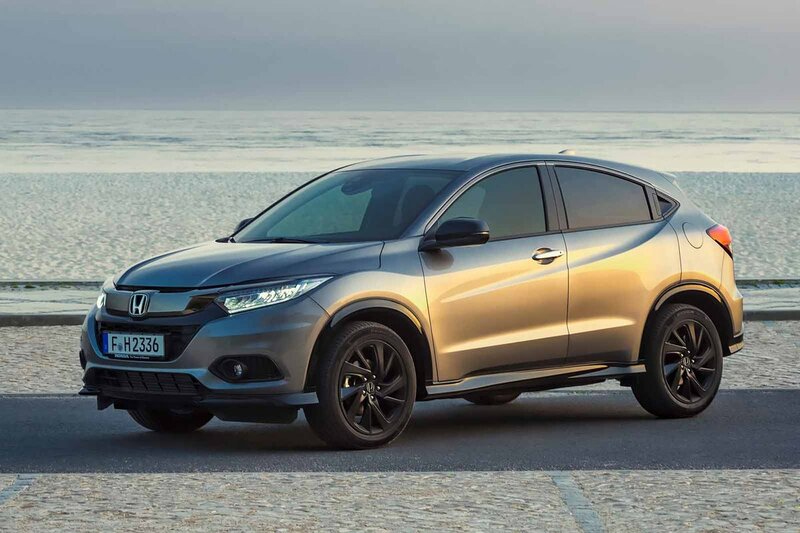 Honda HR-V Boot Space, Size, Seats | What Car? Even adults over six foot won’t struggle for space in the front of an HR-V. There’s plenty of head room to ensure their heads won’t be brushing the ceiling, and enough leg room to stretch out, too. Shoulder room in the front of the cabin is also generous. Each front door has its own pocket with enough room for a water bottle and there’s a cupholder handily placed on the centre console to the rear of the gearlever. There’s also a useful storage cubby in front of the gearlever lower down, and the HR-V’s glovebox will accept more than just the car’s manual. Rear space in the HR-V isn’t quite as generous as it is in the front. Because of its styling which incorporates a sweeping rear roofline, tall adults will find their heads brushing against the ceiling. Leg room is good though; those same adults will find their knees free from the front seat backrests. Seating three adults across the rear seats will prove uncomfortable on particularly long journeys, though, because there isn’t enough shoulder room to ensure they sit free from one another. Each rear door has its own pocket like the front ones, but the space on offer isn’t quite so generous in each. A small water bottle should slip inside, though. SE models add a rear armrest as standard while EX models add pockets the backs of the front seats. This is one of the HR-V’s strongest assets. 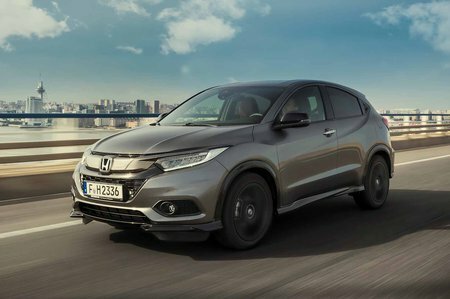 The front passenger seats has a good range of legroom and backrest adjustment, although only range-topping EX models get passenger seat-height adjustment as standard and no HR-V has lumbar adjustment – even as an option. The rear seats have Honda’s Magic seat function as standard, which means it’s possible to not only split the rear seats in a 60/40 configuration and fold them completely flat, but also raise the rear seat bases to leave a long, narrow space between them and the front seat backs. It’s a useful space for carrying slim, tall objects such as bicycles. The front passenger seat can then be folded flat to allow long items to be pushed from the boot opening right through to the dashboard. The HR-V has one of the bigger boots in the small SUV class and the fact that it has a low loading lip and a wide opening means lifting heavy, bulky items from the floor and placing them inside is never too strenuous. It’s a relatively good shape, too, remaining nicely square from front to back. 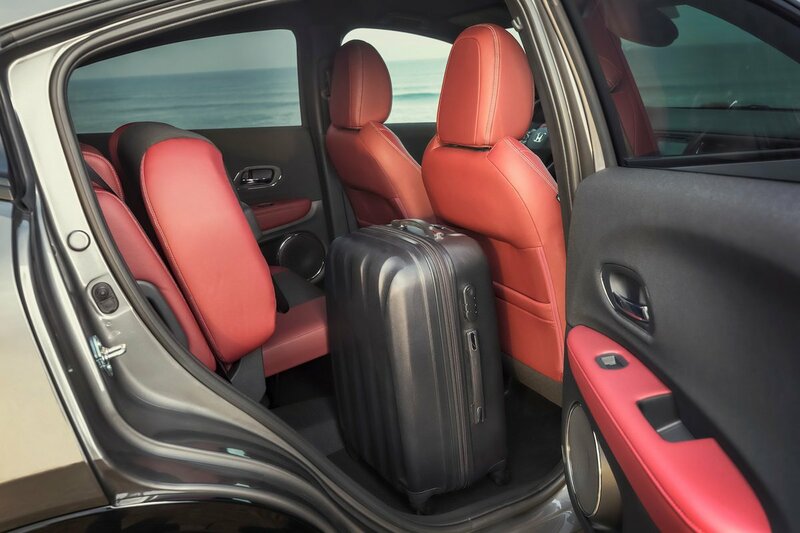 SE models add a false boot floor, which leaves enough room to store valuable items out of sight and removes the step down to the boot floor suffered by the entry-level S model. A boot light comes as standard across the range.